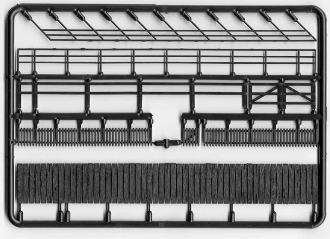 The Pipe Railings are useable on many architectural models and ships. Although originally intended for use on HO scale layouts, applications in other scales do exist. 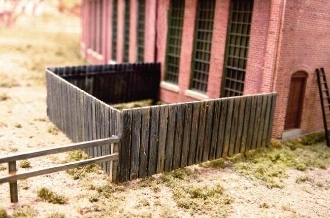 The fencing material is surprisingly rugged and being made from styrene' it is easily cemented and painted. 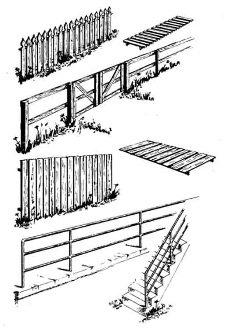 This package includes (4) "sprues" of (6) styles of fencing material' gates included,enough for approximately 24 inches of each style. E. Three foot; high welded pipe for 45° stair steps. Approx. 24"